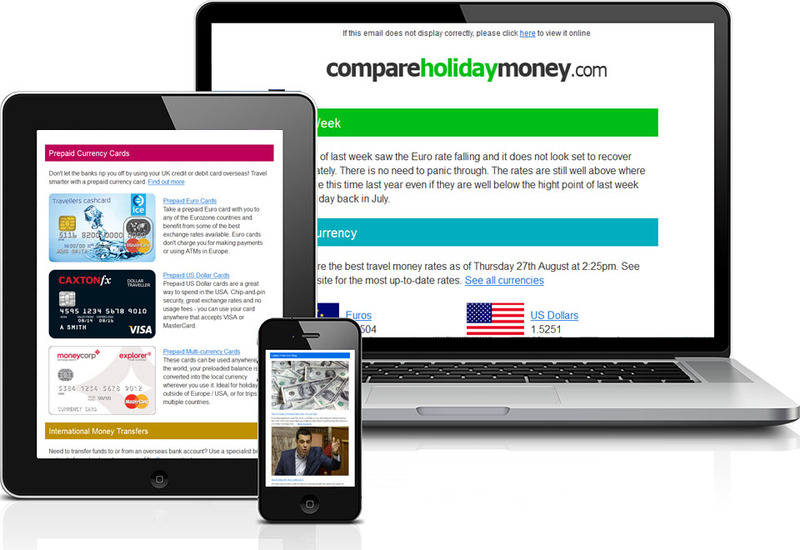 Sign up to our newsletter to receive the latest exchange rates, currency news and special offers directly to your inbox. We have exclusive deals with many UK currency providers which means they often offer us unique deals and special exchange rates to pass on to our customers. Find out about any upcoming currency sales, and get the latest exchange rates delivered monthly to your inbox. A roundup of the latest exchange rates and currency deals. Hand-picked special offers on travel and holiday extras. Helpful and informative travel blogs written by our in-house team.